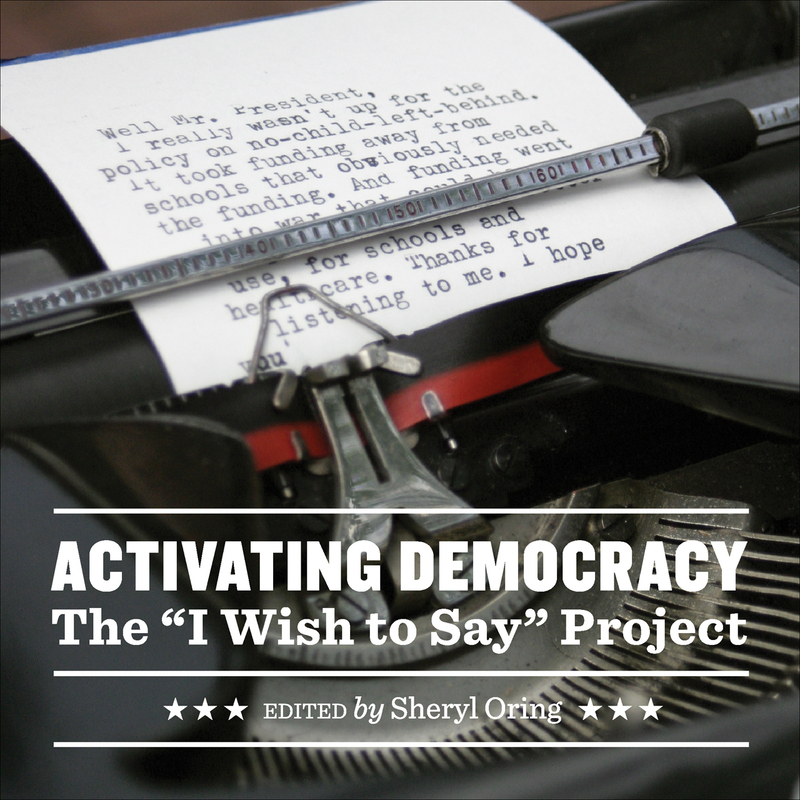 Driven by a powerful belief in the value of free expression, Sheryl Oring has for more than a decade been helping people across the United States voice concerns about public affairs through her “I Wish to Say” project. This book uses that project as the starting point for an exploration of a series of issues of public interest being addressed by artists today. It features essays by contributors ranging from art historians and practicing artists to scholars and creators working in literature, political science, and architecture. All the contributors offer a different approach, but they share a primary goal of sparking a dialogue not just among makers of art, but among viewers, readers, and the concerned public at large. The resulting volume will be an essential resource for politically engaged contemporary artists searching for innovative, cross-disciplinary ways of making and sharing art. "Sheryl Oring’s multiyear, ongoing I Wish to Say project—in which she sets up a desk with a typewriter and invites people to dictate a letter to the President or a presidential candidate, which she types and sends—is a catalyst for a deeper look at artists’ intersection with public policy." "The essays in this volume play off one another, building a robust and comprehensive understanding of Oring’s practice. More than anything, the book conveys that after thirteen years of postcards, Oring, above all else, has listened. She has continued her project through the presidencies of George W. Bush, Barack Obama, and Donald Trump, through turbulent election cycles, amid a variety of viewpoints and constituents. In an age where postcards have been replaced by tweets, she takes the time to slow down and emboldens others to do so as well. She asks participants to articulate what they want to say while she commits their words to paper. They contain the hopes, opinions, stories, and critiques all too often expressed but so rarely heard."